In the event of not flying due to poor weather, high avalanche conditions, or high winds, POWDER SOUTH, LLC will give you a credit of 50% of your unused hours from the package you bought. All credits are available on account for two calendar years towards the use of a deposit for a future trip. Due to the complexity and high pre expense involved on having a full time helicopter/s for the season, no cash refunds will be given. The refund policy applies for all situations. POWDER SOUTH, LLC reserves the right to refuse a person, participation on any trip, if we find that person to be mentally unprepared for the trip. During the trip the Heli-Ski Guide reserves the right to require a person to return to Base or to abandon the trip, if by their judgment, for any reason, a person is unfit to continue participating in an ongoing activity. If, for any reason, anyone leaves the trip before its completion, for whatever reason, there will be no reimbursement of fees. If the weather, or other factor(s), makes completing our objective impossible, our policy stated above will apply. In the case of the participant’s need for a rescue, or the participant leaves the trip before its completion, for whatever reason, the participant is responsible for any expenses incurred. POWDER SOUTH, LLC is not responsible for any expenses incurred if the trip should be delayed due to weather, mechanical failure, strikes, theft, acts of nature, civil disturbances, terrorism, acts of war, government restrictions or regulations, failure of any form of transportation to arrive or depart as scheduled, or discrepancies over which POWDER SOUTH, LLC has no control. POWDER SOUTH, LLC RECOMMENDS ALL CLIENTS GET 3RD-PARTY TRIP CANCELLATION INSURANCE IN CASE YOU HAVE TO CANCEL. (Global Rescue and Travel Guard are two options). If the participant cancels at any time before the activity, there will be no refund of deposit. The trip balance payment is due in full 90 days before the start date of the activity. If cancellation occurs at anytime before departure, there will be no reimbursement of fees. In some cases a credit for the next season can be arranged for a percentage of the total amount, at the discretion of Powder South Directors. If we do not receive your deposit by the date it is due, (90 days before the start of the trip) we will immediately cancel your seat and open it up to another person. 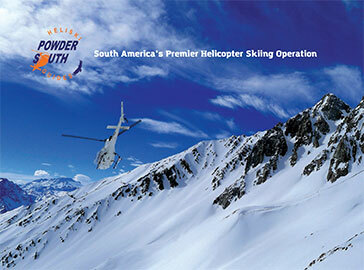 POWDER SOUTH, LLC is not responsible for the terms and conditions of any airline tickets. POWDER SOUTH, LLC is not responsible for lost, stolen, or damaged baggage, skis, or equipment, or any expenses incurred in the event of such loss or damage. If POWDER SOUTH, LLC chooses to cancel a trip for reasons other than the above stated, payment will be refunded in full except for credit card fees, if any. POWDER SOUTH, LLC reserves the right to fill empty seats. On a Private or Semi Private, POWDER SOUTH staff may request to occupy empty seats. I have read, understand, and accept the terms and conditions stated on the POWDER SOUTH, LLC POLICY and acknowledge that this agreement shall be effective and binding upon the parties during the entire period of participation in the said activity(s).